The changes we've made so far to our six classes exemplify these goals. For example, the retuning of Exploding Palm, The Furnace, and Rimeheart weren't specifically made to nerf Monks—it was to remove a clear, standalone issue from interfering with other changes aimed at giving Monks the tools they need to survive and compete in Greater Rifts. The implementation of Greater Rifts allows us to rate classes much more quantitatively. Ideally, each class should be within a couple Greater Rift tiers of one another. Our latest internal testing, where we often copy actual characters from players in the PTR and run them through Greater Rifts, shows that we're pretty close. Inevitably, there will always be room for improvement, and now we have clear, tangible data for us to check in on what's going on and re-evaluate. This is a design goal for us, and we've touched a little on it (see below). However, we want each class performing similarly and with fewer outliers before we introduce new play styles. While power creep is somewhat inevitable with new content (Legendary Gems, I'm looking at you! ), you need to sand down the rough edges before you primer them! We want to reign some things in, buff some things up, and ensure each class has comparable (if different) tools available to them. This is an ongoing process, and while we've partially addressed elemental diversity for most classes, there's still more to go (such as addressing Poison and Cold for Demon Hunters and Crusaders respectively). Buff significantly underused skills by increasing numbers or redesigning runes with more interesting or useful mechanics. Channeling spells for Wizards or Furious Charge for Barbarians are great examples of these changes. There's still some skills out there that need work, we just may not get to them for 2.1. This can apply to every class. We want players to use healing on their gear, especially in higher level Greater Rifts, and it should feel much more reliable and on-demand (depending on which type of healing you prefer to stack). We talk about class fantasy a lot, and making sure your class feels the way it should. The addition of the Crusader set, Roland’s Legacy, is a prime example of this. Crusaders should feel like they have options in melee, and we feel this set helps satisfy that need. Phases of the PTR can be a little trying, because what you end up seeing from the outside looking in is what our iterative process looks like — except with none of the context. It's like trying to tell what the entire picture is from a few unmatched puzzle pieces, because some bits of our larger, overarching goals just can’t (for one reason or another) be crammed into a build before it goes out. What can be frustrating is that our iterative process on a subject can be much longer term than the cycle of a single patch. Class balance is a perfect example of this, particularly because it’s an aspect of the game that’s never really "done." It's fairly inevitable that there will always be work to do on this front, especially as we add new content in the future (and even more so where Legendaries and Sets are concerned). 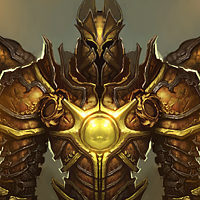 Class balance is the sum of several wholes, including Skills, Set Items, and Legendaries that have been added or adjusted. That's a ton of stuff to look at, and sometimes there's simply not enough time to fit everything into a single patch (even if it's in our plans). This is an ongoing process for us. There's a lot of new toys and quality of life changes in this patch, but that doesn't mean it launching closes the doors on additional tweaks or changes for the future. If a class falls behind, we might put out a 2.1.1 or 2.1.2 to address the clear outliers. Some of our plans have immediate implementation goals while others stretch on for 6 months or even a year. There's a lot of spinning wheels and fiddly bits in this Infernal Machine, and a quick glance won't ever be sufficient to explain it all. Some plans are harder to explain than others, but we hope this lends at least a bit of transparency to the bigger picture. Tyvm for this... For a game that does not have a sub we appreciate the ongoing support!!! but we hope this lends at least a bit of transparency to the bigger picture. Only a bit and nothing more. It would have helped a lot if you hadn't brought this up so late and communicated more often with the players. Can't help but think that the whole post is more about PR damage control than anything else. Stating philosophies may be great and all but it's meaningless if you don't follow through with it. As far as I've seen, 2.1 has missed the target by a considerable margin: 2-handers still need work, fire is a must for wizards, monks are still weak, barbs going nowhere, legendaries are mostly placeholders, doing rifts ad nauseam, campaign mode is a ghost town. It's been 5 months since the release of RoS; surely that is plenty of time to fix up unresolved issues or at the very least, make significant progress. we want your reaction to be "Holy crap, YES!" not "*sigh* another Hellrack." It's a problem if players don't want to bother identifying their Legendaries, let alone pick them up. We want to change this. It's simply not good enough. wow that's what you say after they come on here and explain things and remind people that we dont always see the big picture due to how things work . if you don't like the process of the ptr and testing then don't play the game or don't read the ptr areas and just go forward unaware of what's happening elsewhere in the game. ptr is just useless why not test it yourself and release the real patch instead having player go on ptr to test: player give you guys a load of good feedback and changes yet u don't listen to the community so why bother even having the ptr? [ul][li]This is a design goal for us, and we've touched a little on it (see below). However, we want each class performing similarly and with fewer outliers before we introduce new play styles. Glad to hear patch 2.1 won't be delayed to implement further class balance and will instead be added through subsequent patches. i do appreciate what you guys at blizzard are doing its been a fun adventure since release date, looking forward for 2.1 keep up the good work. may the RNG good be with you..
Wizard is now fire only. I see some buff to several unused skills. But why nerf WD's already underused Physical Attunement and Circle of Life? Also, as a reminder, there are some extremely underused passives that have not been touched: Pound of Flesh, Thrill of the Hunt, Power Hungry, Bad Medicine. Removing Poison skills from DH is the total opposite of this. 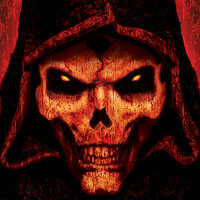 I prefer killing demons rather than playing stash space manager! Thank you blizzard, for putting the time and effort into all of this; into a game where we don't pay for a subscription. It's not easy to explain what you just did, and it is much appreciated. Keep up the good work, and although some of us (especially fans of over a decade) get frustrated with the way some things are/have been; you guys continue to convey good attitudes, a reflection of a professional business in a world where 99% us who gripe, know very little about. Well done blizzard. So where are the buffs to Ancient Spear, Laws of Hope, Sweep Attack, Shield Bash, Smite, Fan of Knives, Spike Trap, Impale, Grenade, Caltrops, Wall of Zombies, and Grasp of the Dead? Healing skills should scale with healing stats, so you can actually stack healing stats to heal with your healing skills. I think you guys have actually done a good job in this department. I'd classify this as "needs improvement" especially in how the Greater Rifts scale, but overall it's a great place to start from. Which again, is awesome. It is very clear to see how much the game has improved on this front compared to how it was before 2.1 launched. Before there wasn't really a metric that you could use to balance classes with each other which is why it was a wild mess. I really do think you guys should reevaluate how Greater Rifts scale for a future patch but overall the groundwork that has been laid is solid. I think the Wizard is a great example of how to do this correctly. When 2.0 launched I had always felt the Wizard was the most versatile class with the most diversity. With the changes in 2.1 it seems like that has been taken even a step further. I think the Wizard is a great baseline to look towards for future changes. Overall, the Wizard was a well designed class going into 2.1 but the only problem it suffered from was that its sets weren't set up to allow for such diversity when the skills were actually set up for success in that department. Wizards don't suffer from the same massive powercreep that the other classes do. I still think making a class entirely reliant upon its set is probably a bad direction to take the game in, but as every other class IS entirely reliant on their sets it probably doesn't hurt much. While I don't think 2.1 is hitting the mark I had expected it to, it is making great strides in the right direction. Aside from a few small problems that were created with this patch (Particularly Ramaladni's Gift) it is very clear that a lot of the previous problems with the game were addressed and in no way is the game in a worse state than it was. I think that's the key thing to keep in mind is that this patch only improved the game rather than bring it down. 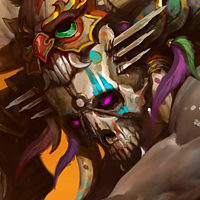 Obviously others might have different opinions on the matter, but I feel that 2.1 is trying to change the pace of how Diablo's played and shifting it more away from being a thoughtless grindfest to more of a rewarding experience for taking the initiative to try and challenge yourself to push further. Before the game didn't really have any clear goals, and now those goals are starting to be more readily defined. I think there's enough here to justify me giving this game another shot, but it still has quite a lot of room to improve. I don't expect it to be perfect in the first pass, but unlike the Beta (Which in my opinion was a horrible mess of "We know what's best for you so shaddup") 2.1 seemed to be a lot more community involved and the changes actually make more sense from a higher level design perspective. I can only make educated guesses on what Team 3's design goals are, but I think this is the first time I've seen a PTR where changes were made based on what's best for the game instead of conforming to what's popular. I like that quite a bit. Just keep pushing to implement more changes for the better and don't get discouraged when we harass you guys and give you a hard time. Chances are (Which is likely the case in most of the rants that I personally make) we're making a mountain out of a mole hill. The reason I personally put so much effort into trying to improve a game that I'm not even playing is because there's something there that I feel has momentous potential. I've played a lot of bad games in my time, and many of those companies have forums for those games, but I really couldn't be bothered to try and help convince them to make meaningful changes down the line because to be quite honest I don't care about those companies the same way that I personally care about Blizzard. Again, this patch isn't perfect and I will definitely say that it still needs some stark improvement, but I would be a fool to say that this patch isn't an improvement to the game as it stands. With things like Ramaladni's Gift it may have created new problems, but the new problems are not even remotely as bad as the old problems. The only thing I ask is that the game continue to cater to all demographics of players. I don't mind if players like grinding content out repeatedly in the name of "efficiency" but so long as I can tackle something challenging and make more or less similar progress then I will be satisfied. Legendary Gems were a giant leap in the right direction in this department and I am very pleased with the changes to how they are upgraded because it makes the most sense logically. Thank you for adding new features that aren't exclusively just there for people to put on farm mode. Then why must every Wizard be fire in order to compete? BUFF ARCANE!! While power creep is somewhat inevitable with new content (Legendary Gems, I'm looking at you! ), you need to sand down the rough edges before you primer them! Is there a plan to make these interesting options again? Even the best of them for the class+build I use are no longer interesting enough to sacrifice an affix on a ring. The biggest issue I have with this is that it assumes you have already made the right balance between monster HP and monster damage as you progress though the levels (both g-rift and normal levels). When playing T6 I do wonder if the balance point chosen is forcing player to be a bit overly tanky relative to their damage output. We talk about class fantasy a lot, and making sure your class feels the way it should. This is a bit of an awkward one at the moment for a DH. Having to gear to 25M or even 30M toughness as a DH to avoid instant death is just utterly wrong. DH shouldn't generally have to be all out static tanks. The new awareness change at least is helping in that you can escape an insta-kill occasionally, but its isn't really bring back a sense of evasion, or fast recovery. In D3V things like life steal at least allowed a DH to gear on the edge between high damage output and rapid recovery even. I feel a DH should be excellent at evading damage entirely and recovering quickly etc. It should be able to deal a huge amount of damage quickly, even if it has to drop back and recover for a while. Burst damage output of a DH has of course now been destroyed with the punishment nerf making the DH end up having to be a static tank with stop/start damage just like any other class. Its hard to tell the difference between a throw barb and a DH now gameplay wise. Ironically I find it easier to make a tanky DH than a tanky barb. That's just wrong in every way.